Tucked into a curve of the Drakensberg escarpment, this modern, vibrant town is surrounded by beautiful hills and valleys on one side and the rolling landscape of KwaZulu-Natal on the other, making Newcastle the ideal place for business and pleasure. Consistent growth over the past five decades has seen Newcastle grow from a rural town to a thriving industrial and commercial city with a strong agricultural base. At the junction of the old main roads to the Free State, Mpumalanga and Durban as well as being on the main rail line between Port Natal and Gauteng, Newcastle has every potential for much further growth. The surrounding countryside has some excellent farmland and offers some superb opportunities for outdoor adventures like Hiking, 4×4 trails, Mountain Biking and Fishing. This same countryside enables its residents to enjoy a “country atmosphere” while involved in heavy industry and commerce. During the years 1849-1851 some 5000 odd British settlers arrived in the colony of Natal taking up land vacated by the many Voortrekkers who were leaving the colony, many of these immigrants settled in the Buffalo Border Region including the area now known as Newcastle, rapidly transforming the region. Permanent structures were built and land was fenced off for farms, and wagon roads soon appeared. With the roads came the Post Chaise coach service and regular stops sprang up to service the travellers. One such stop was Post Halt 2 on the banks of the Ncandu River. In 1854 a Dr. Sutherland, who was to become the Surveyor General of the Colony, found himself and his new wife, held up by the swollen Ncandu River, so for the next two weeks he spent his time setting out the township that he was later to register as Newcastle after the then Secretary of the Colonies. 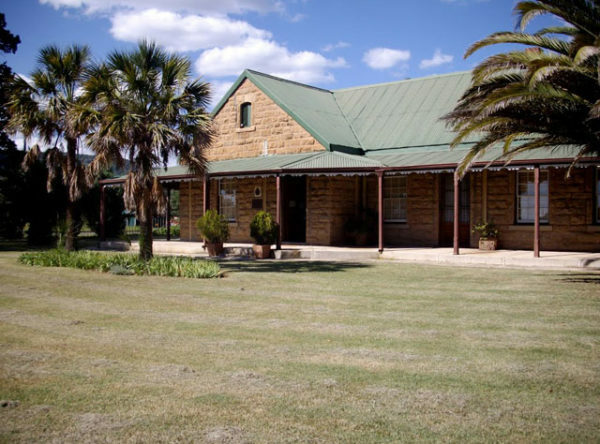 Strategically situated where the main road splits to lead up to the Orange Free State and the Zuid Afrikaanche Republiek ( Transvaal) and the town was to grow rapidly. In 1876 with the threat of war with the Zulu Kingdom of Cetshwayo and the pending annexation of the Transvaal by the British, the colonial authorities decided to establish a fort at Newcastle. Major Amiel and some 200 men of the 80th Staffordshire Volunteers Regiment arrived in Newcastle and built the Fort, now known as Fort Amiel, on the high ground overlooking the Drift. The fort became an important commissariat for the troops operating in the Transvaal after its annexation, in the Anglo Zulu War, and again during the Transvaal War of Independence 1880-81 (First Boer War). In 1891 the Town was declared a Borough. The discovery of coal had brought a new era of prosperity and several ambitious building projects were planned, including the construction of the Town Hall, which was completed in July 1899 just in time to be occupied by the Boer Forces at the start of the Anglo Boer War in October 1899. 1891 also saw the railway reach Newcastle and move on through a 654m long tunnel through Lang’s Nek to Charlestown and the Transvaal border. In 1895 the large concentration of Zulu people along the Ngagane River established for themselves a piece of Trust Land in the area known as Blaauwbosch and established a township there where they built a school and church. The Anglo Boer War 1899-1902 saw the town occupied by the Boer Forces under the command of General Viljoen who promptly changed the name of the town to Viljoen’s Dorp. However when the town was relieved by General Buller and the British in the May of 1900 the name of the town reverted back to Newcastle. The first record of any educational work in Newcastle dates back to 1874 when a small school committee was formed and a school opened in the Dutch Reformed Church building in Lennoxton but the school only lasted until 1878. In 1881 renewed efforts were made to establish a permanent Government School. The site chosen was where the Junior Primary School stands today. The school opened in October 1882 with 47 boys and 30 girls. In 1904 it was decided to build a new Boys’ School and a new site was chosen “far out of town” and the new buildings were opened on 4th February 1907. These are the buildings that now house the main offices of the Newcastle High School. In 1918 Mr JK Eaton decided to build a Steel Works in Newcastle and by 1945 the Union Steel Corporation was producing some 150 000 tons per annum of various grades of pig iron. As a result of the increased steel production a period of expansion came to the town, bringing with it great financial benefits. Durban Falkirk Iron Co. Ltd. was in production by 1948 and was employing some 200 people. Throughout the ‘50s and ‘60s the growth was steady but slow, but in May 1969 the government announced that the third Iscor Works (now ArcelorMittal) would be established in Newcastle and as a direct result, Newcastle developed rapidly as an industrial town and a prominent growth point in Northern Natal. Later Karbochem established a chemical plant and this was followed by a number of Chinese textile and other industries. Today, in addition to the Zulu, Afrikaaner, and English speaking communities, Newcastle has a large Chinese population that includes people from Taiwan (Republic of China), and Hong Kong. 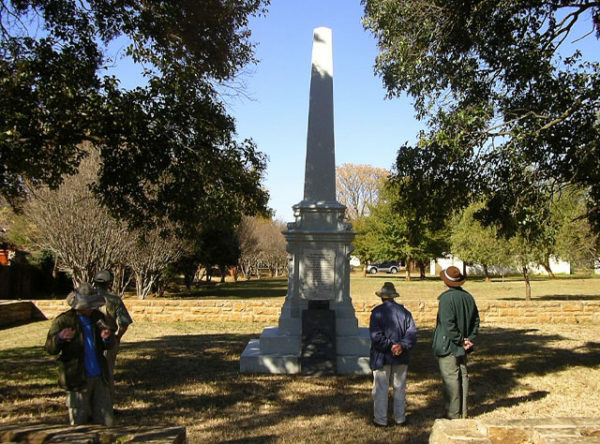 Newcastle is a part of the KZN Battlefields Route with the first major conflict, resulting from the British annexation of the Transvaal in 1877. After several unsuccessful attempts to negotiate the reversal of this action, the Burghers of the Transvaal resorted to force. Major battles were fought at Lang’s (Laing’s) Nek, Schuinshoogte and finally on Majuba Mountain all of which the British lost. All of these sites can be visited along with the British camp and cemetery at Mount Prospect and O’Neil’s Cottage where the peace was signed. For more information on these actions see Transvaal War of Independence 1880-1881. This famous mountain, with its flat top, beckons travellers on the Newcastle/Volksrust road. It is here that the world famous Battle of Majuba was fought on 27 February 1881. On that day Boer Commandos under the command of Commandant General Piet Joubert dealt a convincing blow to the British Forces under General Sir George Pomeroy Colley in the First Transvaal War of Independence. This led to the Transvaal regaining its independence from Britain. There is a small entrance fee to the site where you will find a Museum, a youth lodge, large enough for 80 youngsters and their accompanying adults, a camp site and picnic facilities. From the campsite there are paths to the top of the mountain from where you have the most incredible 3600 view. For all enquiries regarding entry fees, lodge fees or camping fees contact the Manager. The Newcastle Tourism Information Office is situated in the old Town Hall on Scott Street.